Ali Soufan is a former FBI Supervisory Special Agent who investigated and supervised highly sensitive and complex international terrorism cases, including the East Africa Embassy Bombings, the attack on the USS Cole, and the events surrounding 9/11. Mr. Soufan also serves as a member of the Homeland Security Advisory Council. 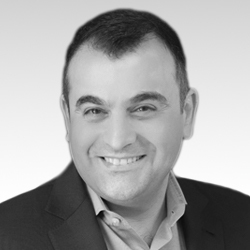 Soufan is a leading national security and counterterrorism expert, appears on and is featured frequently in international and national media, and continues to play a significant advisory role on today’s most sensitive issues.